Brief: To commemorate the first round the world flights departure from the beach. Materials: Limestone, bronze, stainless steel, cement. Description: This was a collaborative work with Remco de Fouw. 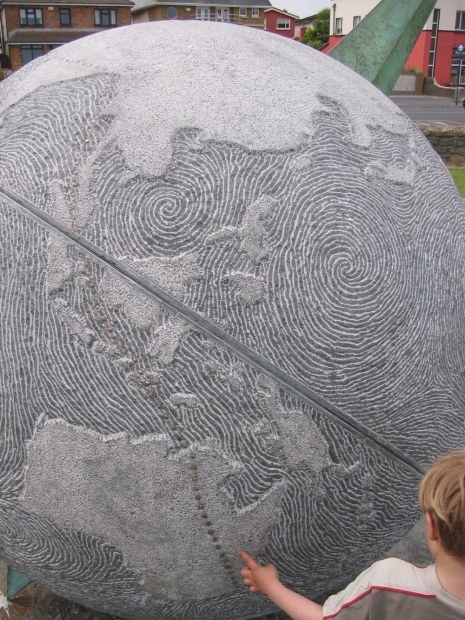 This richly textured 1,900mm limestone globe depicts ocean currents and land topographies and the historic journey laid out in bronze studs. 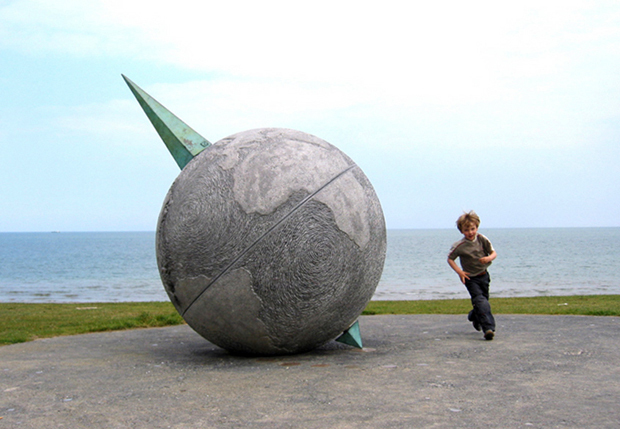 A large ‘compass needle’ puts the sphere on a direct access with the North Star. Other references to navigation are found in the compass embedded in the circular cement paving with bronze and stainless ‘stars’.